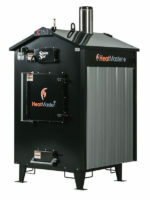 RLS Energy has partnered with Heatmaster to provide you with the highest quality wood stove on the market. 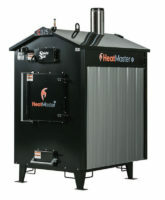 Heatmasterss is a family-owned company which has manufactured and distributed it’s own line of outdoor furnaces since 2001 and through it’s dedicated staff and management has many more years of knowledge and experience. We continually research and discover new and innovative ways to improve our products and develop new ones. Take control of your heating budget with a new wood or coal furnace call RLS Energy to get the process started. We have a variety of stoves in stock. Special Financing Options Are Available! Here are two ways to save money this winter! 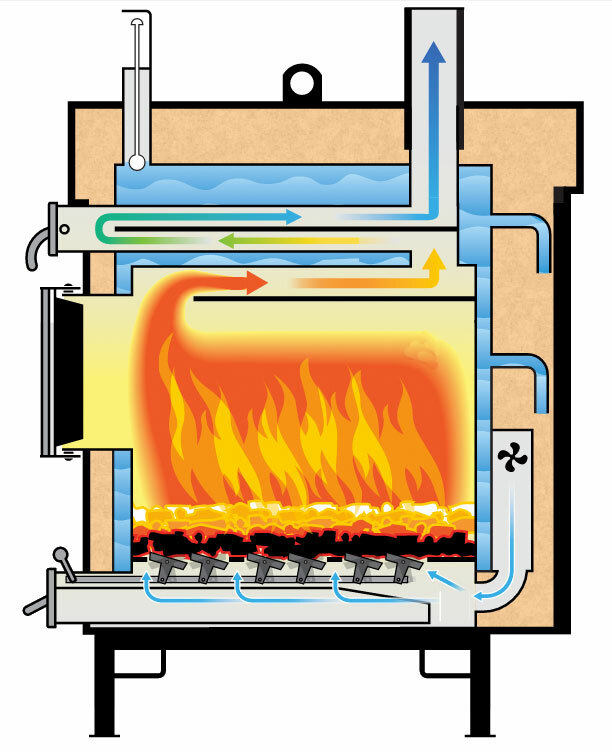 Take a look at the features of the C series coal burning furnace. Rugged and Efficient Comfortable Coal Heat. 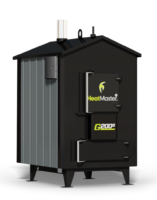 Get introduced to the new G series outdoor wood furnace. Set up a home site review today. Less cleaning and maintenance: The Easy Clean handle makes cleaning the heat exchange tubes a breeze. No need to brush tubes or scrape creosote, you can load and clean your furnace in 5 minutes! Stay clean while loading: The Smokeless Loading handle lets you enjoy clean, easy loading. Just pull the handle before opening the door to eliminate smoke coming out at you while loading. Less wood cutting: These high efficiency furnaces use up to 50% less wood than conventional furnaces, saving you time cutting and loading wood and cleaning ash. Indoors and outdoors: G Series furnaces are safe and clean enough to be installed in a garage, shop or outbuilding as well. Safe easy-to-use dual firebox door latch – Our carefully designed latch catches the door so it doesn’t swing completely open and expose you to excessive heat. New for 2017 – A sight glass in the bottom front door that let’s you see the fire in the lower combustion chamber without opening the door. 409 Stainless Steel – Titanium enhanced and corrosion resistant, it’s the only product that can provide the right blend of longevity, heat transfer and other critical traits that meet the HeatMasterSS standard of excellence. Rounded firebox – The rounded design gives the firebox more strength with fewer welds. The G100 is our smallest wood furnace and is perfect for a home or small outbuilding and compact enough to be easily installed indoors. 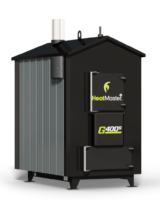 Our top selling outdoor wood furnace using gasification technology, the G200 is a workhorse! Capable of supplying heat to a home and small shop or one large building. Ask us how the G200 can be put to work for you. Less wood cutting – These high efficiency furnaces use up to 50% less wood than conventional furnaces, saving you time cutting and loading wood and cleaning ash. High Efficiency Heat Exchange Tubes – Our vertical heat exchange tubes keep ash and creosote from blocking the tube are also easy to clean. Draft Induction Fan – Draws air through the furnace to keep the airways clean. Heavy duty multi-layer insulation – We feature a foil-backed insulation that won’t trap moisture, gives you high R values and has no seams for heat to escape. Combustion Chamber – Our high efficiency chamber has a horseshoe refractory design to help create the cleanest, hottest burn. 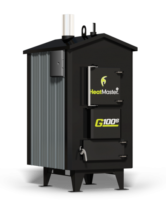 The new GS series continues the Heatmasterss tradition of rugged, easy to use outdoor wood furnaces. The GS is our basic model offering great features and a new low introductory price. But, if you’re looking for a furnace that may be used indoors or out, and one that has even more features check out the G Series. This is our most popular size of furnace. The G200s is a workhorse capable of supplying heat to a home and small shop or one large building. As always, our furnaces can also heat domestic water, swimming pools, hot tubs, garages, and more. The GS series gives you basic features at a low introductory price but if your’e looking for more, check out the G Series. One of the largest furnaces available, the capacity of this unit makes it suitable for many large load applications. It’s capable of heating up to four applications at the same time, a home and large shop or a commercial sized shop. And because it’s a GS model it offers the basic features you need for a low introductory price. Rounded firebox – The rounded design gives the firebox more strength with fewer welds, reducing the risks of cracks and leaks. The deep firebox of the C Series also works particularly well for an outdoor coal furnace. The forced air fan pushes air through the grates at the bottom of the firebox, ideal for coal burning and fast heat recovery. What does it mean for you? A more comfortable outdoor coal burning experience. Small but mighty, the C150 outdoor coal furnace incorporates all the workmanship and quality of a Heatmasterss furnace in a compact package while still heating a comfortably sized building. The C250 has that bit of extra capacity for larger homes or out buildings coupled with all the design, efficiency and quality that Heatmasterss customers have come to expect. 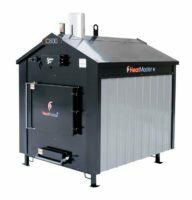 Our C375 furnace is a comfortable fit for adding a shop or shed with it’s 7,000 square foot heating capacity. A very flexible solution. 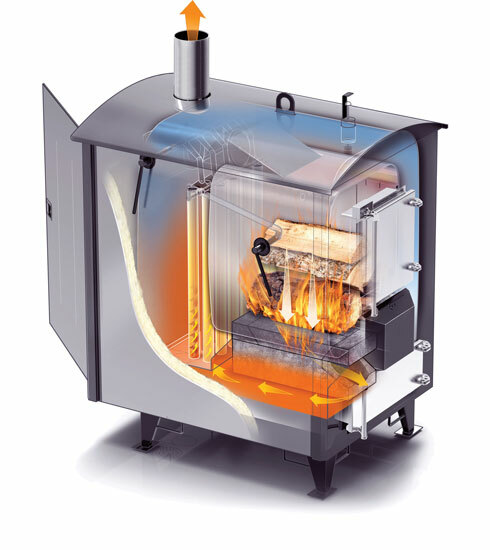 The large capacity of the C500 makes it ideal for heavy duty heating. Make the most of your coal supply with this powerful unit. A new design for our outdoor coal furnace, the C Series provides quality workmanship and materials with a design built for performance and efficiency. They work with almost any existing heating system and follow the HeatMasterss standard for quality. Although they are very cost-effective, no shortcuts in quality were made in the production of these units. Make your purchase right away and be ready for winter!